Hi Ralph. Hope all is well with you. *** finally got a job. He just got his CDL-A and was hired as entry level truck driver with **** Transportation. He is on the road and in training for 12 weeks and then will be local, so I have no idea what the salary will be. We will just deal with that at the end of the year. But, I do have one question. While he is on the road there are expenses that he incurs that are out-of-pocket--meals, showers ($24.00 for a shower at the truck stop), laundry, and just little job related expenses. The employer told him that he could claim these on his income tax, but I am deferring to the expert here. Are there some kind of guidelines for what can be claimed while he is on the road? 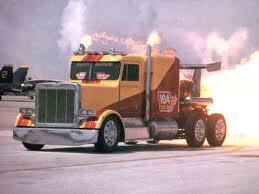 Here is a link to a great discussion about your trucking questions on my website. I also have a form which can be used for tracking. Please let me know if you have any questions.